Melon Days, our favorite weekend of the year, has officially come and gone. 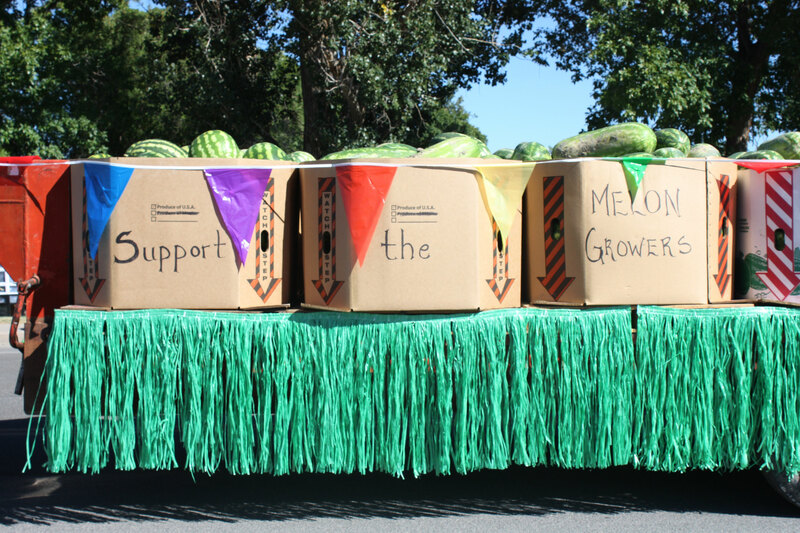 Festivities of the 107th annual Melon Days included the Melon Queen Pageant, the biggest and best Melon Days parade we’ve ever seen, volleyball and softball tournaments, square-dancing, live music, vendors in the park, and free endless watermelon samples. Melon is a source of community pride in Green River. Most say it’s the best melon they’ve eaten. Jo Anne Chandler, the local archivist, says, “Texas and California don’t know melons. Green River knows melons.” Jo Anne believes no one knows how the first watermelon plant came into being in Green River. It could have floated down the river or a goose could have brought the seeds. No one knows. There are even opposing stories on who found that first watermelon plant. One story claims that a man named Oppenheimer found it in Little Valley. Another story says a man named Pace found it at Willow Bend. Both would have happened around the turn of the 20th century. Either way, one of them found the watermelon/watermelon plant along the river, saved the seeds, and began cultivating melon. Why does Green River create the best melons? The sandy soil and the old river bed create great conditions, and because it’s so dry here, but close to water, farmers are able to control the moisture. Also, supposedly, the only place that gets more direct sunlight than Green River, Utah, is Death Valley, California. Hot days and cool nights create a sweet and delicious melon. The first melon shipment out of Green River was actually a side item to an apple shipment. There was an apple and peach boom in the early 1900’s when land was selling for $2,000 an acre. In the late 1910’s, there was a mild winter, and subsequently, an early spring. Flowers we are blooming, everything was gorgeous. But, then there was a unexpected freeze, which caused the sap in the blooming trees to expand, and caused the trees to explode. There were accounts of “snap, crackle, and popping” as the liquid sap froze to solid form. 50,000 Green River trees were killed that year. Realizing that orchards were a fickle investment, Green River farmers turned to melon. If a melon crop freezes, you can replant the crop, unlike apple trees which can take years to produce fruit. Since Epicenter’s first Melon Days back in 2009, we’ve been addicted to this magical weekend celebrating Green River’s prized crop. We’ve never topped our first parade entry (Melon Monster), but we’ve finally perfected the Seed Spittin’ Contest and our booth in the park. Armando dancing in the parade; Armando, Maria, Steph, and Ryann modeling Epicenter’s Melon Days shirt; Hand painted watermelon shoes by Maria. This year we were honored to host Frontier Fellow, Erica Dixon, as the Seed Spittin’ Contest coordinator. 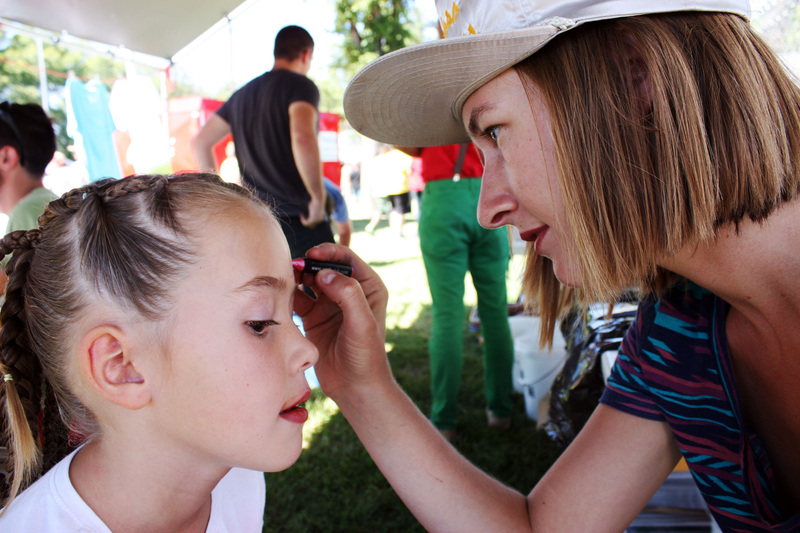 Dixon annually coordinates the Communikey Festival, an interdisciplinary arts festival in Boulder, Colorado. This year Erica’s design included an obstacle course, a taste test, spitting for accuracy, and spitting for distance. All ages participated in this year’s contest, and winners include: Style- Alex, Distance- Tyrell (25′), Accuracy- Luis, 3rd overall- Nathaniel, 2nd overall- Emma Jo, and 1st overall- Rebecca. Congratulations to our winners! Thank you to our Seed Spittin’ Contest sponsors: Glenwood Adventure Park, Green River & Goblin Valley State Parks, Price Theatres, Robber’s Roost Motel, Ray’s Tavern, and the City of Green River. The contest and amazing prizes (movie tickets, a night in a yurt at Goblin Valley, tickets to Glenwood Adventure Park, and more) would not have been possible without their support!!! Photos from our 2nd annual Seed Spittin’ Contest. Our Melon Days arts booth this year was a major success and a fundraiser for Epicenter for the first time ever! AmeriCorps VISTA, Ryann Savino, coordinated the booth which focused on youth arts activities including tie-dyeing, bicycle-powered spin art, and face painting. The spin art bike was our most popular activity. After choosing a vintage vinyl record and placing it on the spin-art bike, a rider pedals to spin the record. 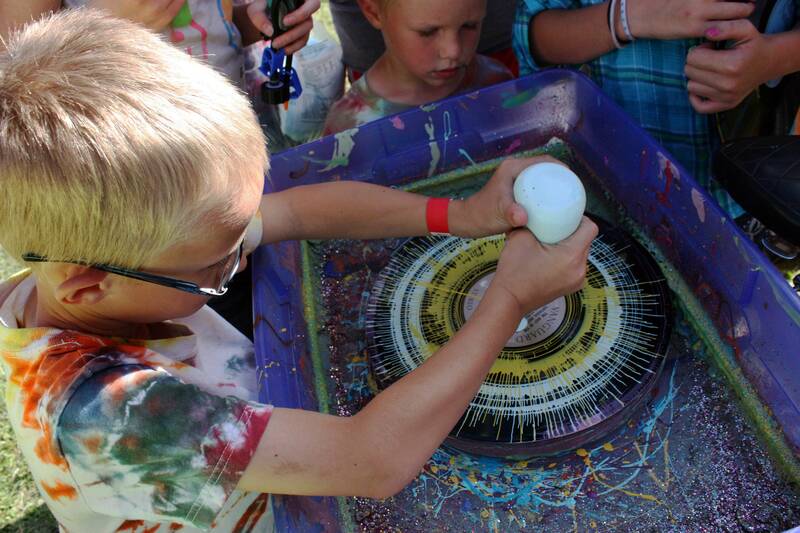 Kids then squirt, drizzle, and splatter paint onto the spinning vinyl. Seeing the look on the artist’s face once their design was revealed was priceless! Spin art bike in action. Tie dyed shirts (shirt design by Dylan Adams, Frontier Fellow), Judith Trejo (2013 Melon Queen First Attendant) and her artwork, and drying spin art. Thank you to WabiSabi, a great non-profit located in Moab, Utah, for letting us borrow their radical spin art bike. It was a huge hit! Thank you to our volunteers: Dylan Adams, Steph Crabtree, Dan Teed, Erica Dixon, Brett Jones, Nicole Lavelle, Miles Mattison, and Bennett Williamson. 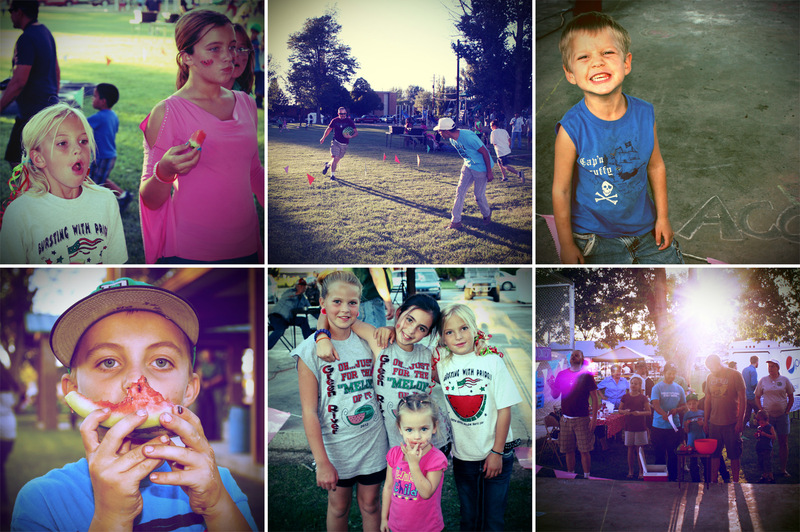 Visit our Instagram feed for even more photos and short videos of Melon Days 2013. Historic information in this blog post was provided by Jo Anne Chandler, archivist at the John Wesley Powell River History Museum located in Green River.